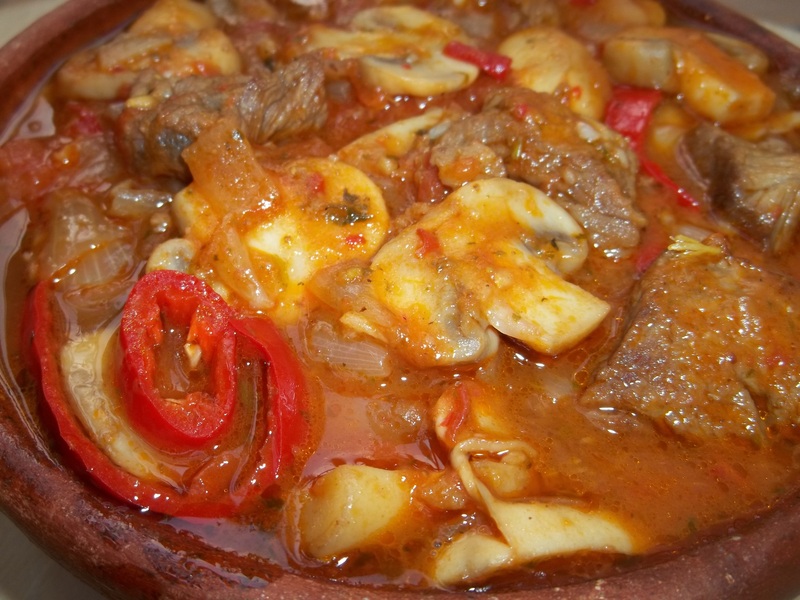 Pork Chashushuli with mushrooms and Megrelian ajika is a delicious family meal with a piquant flavor. 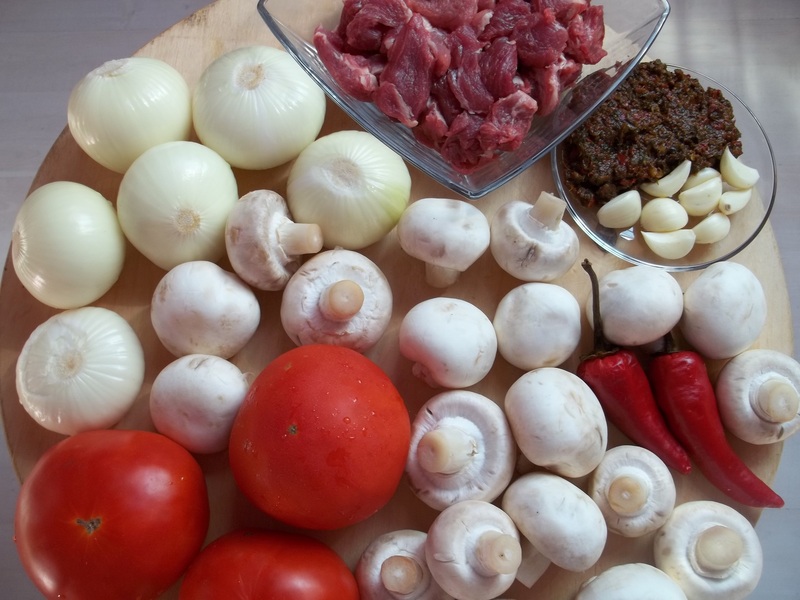 Ingredients (6 servings): 400 grams of pork, 500 grams of mushrooms, 6 medium white onions, 3 large tomatoes, 2 hot red peppers, 8-9 cloves of garlic, 150 ml of white wine, 100 ml of water, 2 tbs vinegar, 7 tbs of oil, and 1.5 tbs of Megrelian ajika (click link for recipe). Preparation: This recipe will take about one and a half hours to make so make sure you set aside enough time. 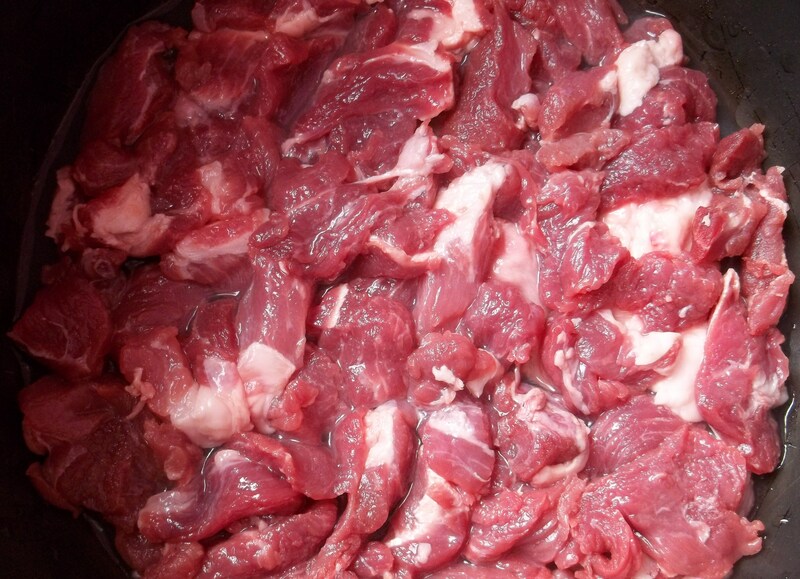 Cut the pork into short, thin slices and add to a deep pot. Add 150 ml of white wine. Cover and cook on a low heat for 20 minutes and then add 50 ml of water and cook (partially uncovered) on a medium heat for 7-8 minutes. Whilst this is cooking, chop the onions. After 7-8 minutes add 3 tbs of oil and cook on a high temperature for 2-3 minutes, stirring continuously. 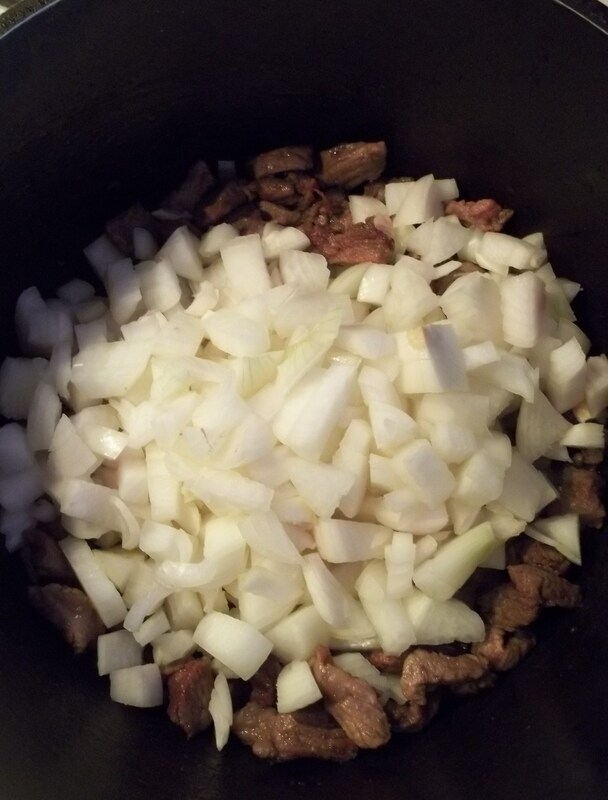 Reduce the temperature to a low heat and add the chopped onions to the pot. Add 4 tbs of oil and stir. Cover the pot and continue to cook for 10 minutes, stirring occasionally. 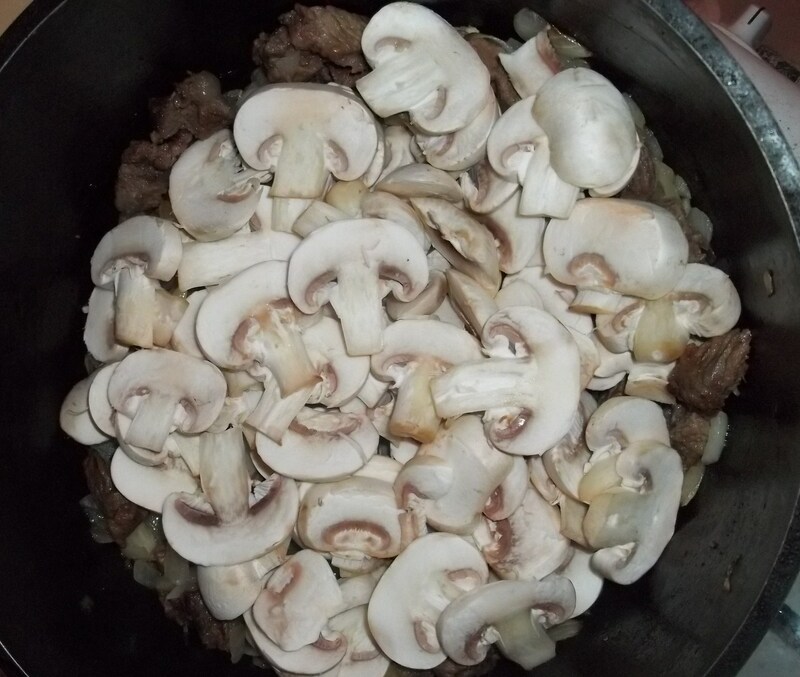 Cut the mushrooms into thin slices and add to the pot. Stir carefully. Cover the pot and cook on a very low heat for 30 minutes, stirring occasionally. 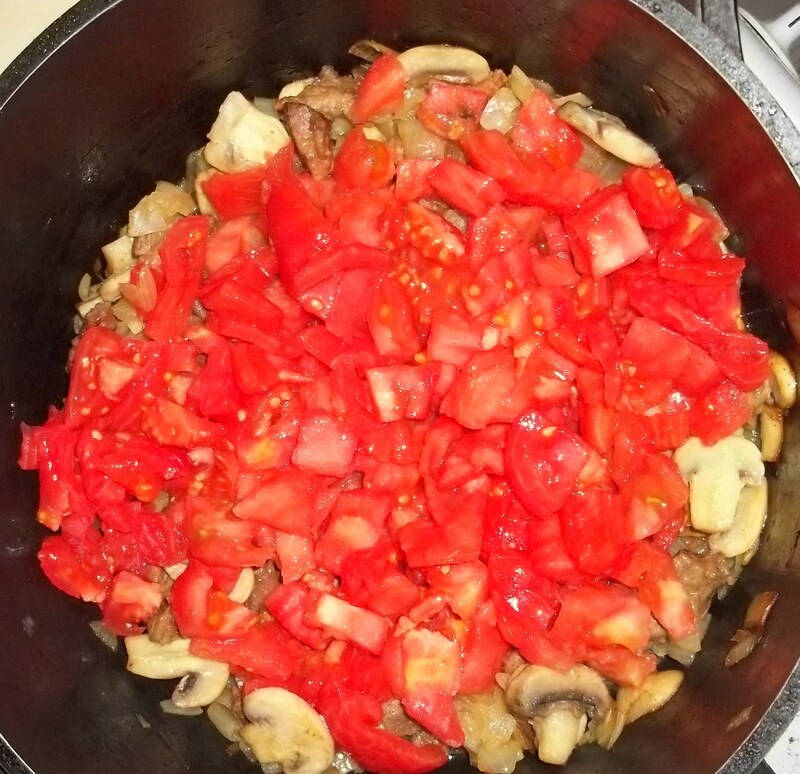 Chop the tomatoes and add to the pot, together with 2 tbs vinegar. Stir carefully. Cover the pot and cook for 10 minutes on a low heat. Add 50 ml of water and cook for a further 10 minutes. 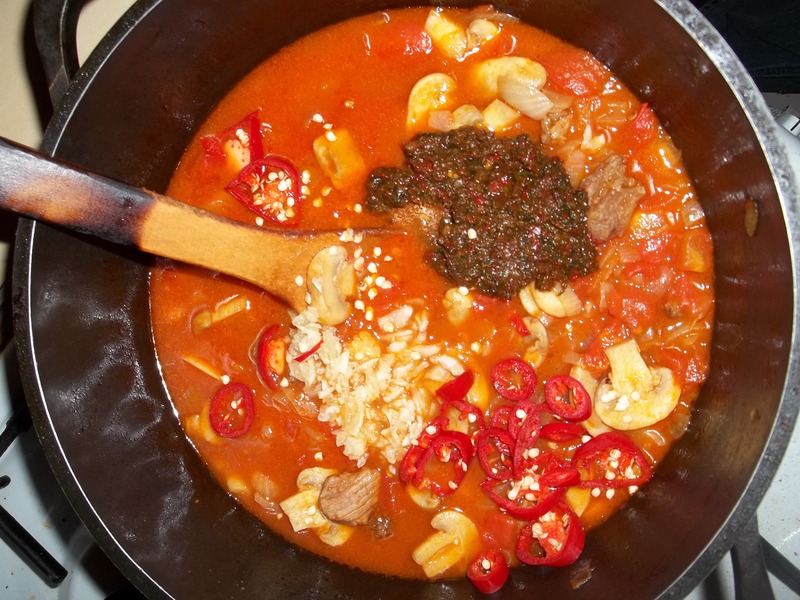 Crush the garlic, thinly slice the red peppers and add to the pot, together with the Megrelian Ajika. Stir carefully and continue to cook (uncovered) on a low heat for a further 5 minutes. 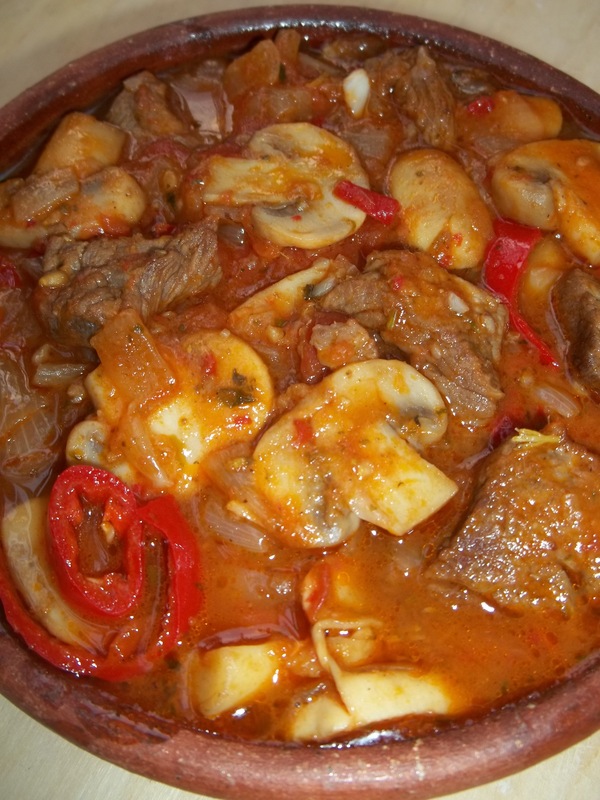 Enjoy your Pork Chashushuli with Mushrooms and Megrelian Ajika! Fabulous! If I only had pork in my over stuffed freezer!